Tantsuyushchiye prizraki / Dancing Ghosts. 1992. The intense competition and discipline associated with the development of a Prima Ballerina in a top St.Petersburg Ballet School serves as the background and focus of this well acted romantic drama. The Beauty of the Dancers and their dancing contrasts with the rigors of the training regime. Some of the Dancers remain secondary if the Dancer wants to archive her maximum potential. The acting of the unknown actors and actresses are perfect. Directors: Yuriy Korotkov, Efim Reznikov. Cast: Aleksey Yasulovich, Anna Ponomaryova, Nina Siyanko, Mariya Vinogradova, Yuriy Yakovlev, Irina Kupchenko, Viktor Avilov, Ekaterina Berezina, Elena Borzunova, Kubat Boskunbayev. 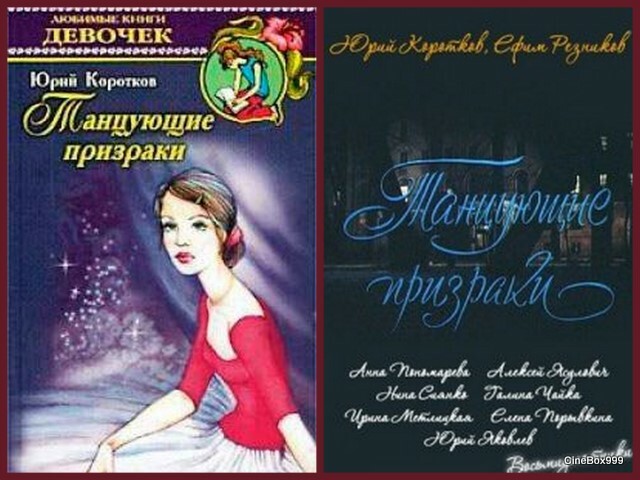 Download Tantsuyushchiye prizraki / Dancing Ghosts.